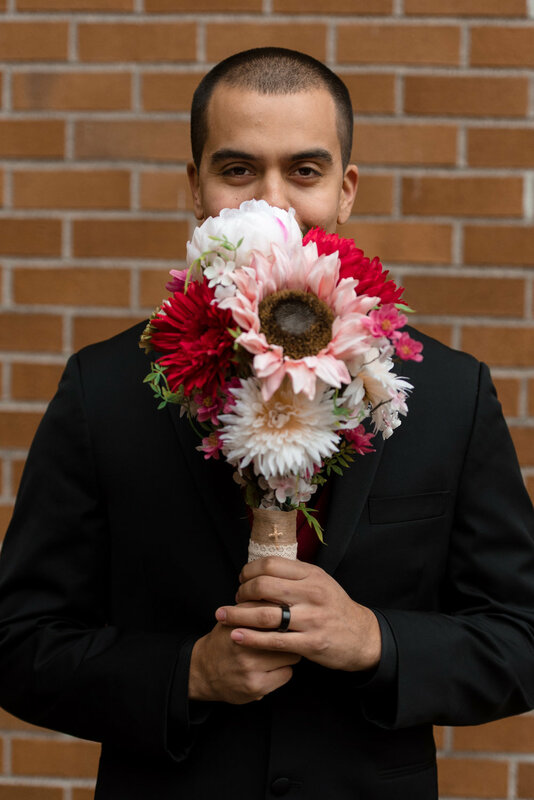 Sergio waited patiently for Kayli while she and other family members made their way around campus at the University of Washington. Sergio didn't have to wait long. After a few intimate and romantic portraits, Sergio's son hopped in for a few photos. 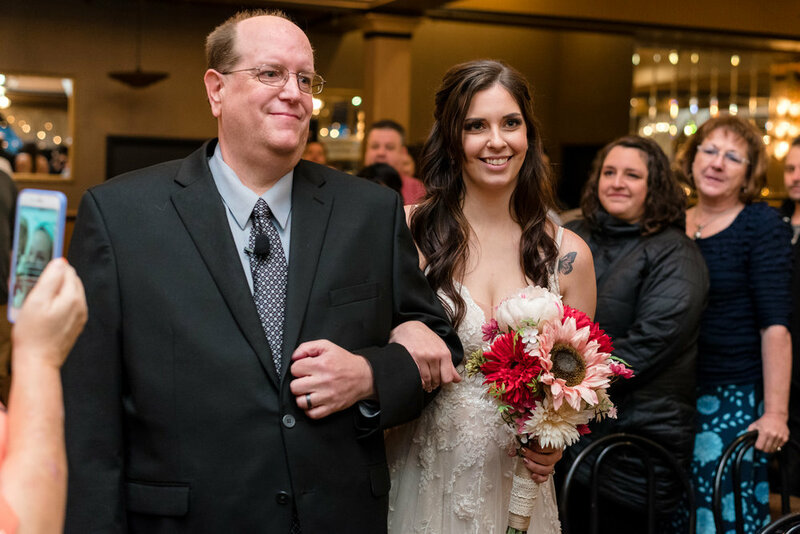 Sergio and Kayli had fun with her bouquet. 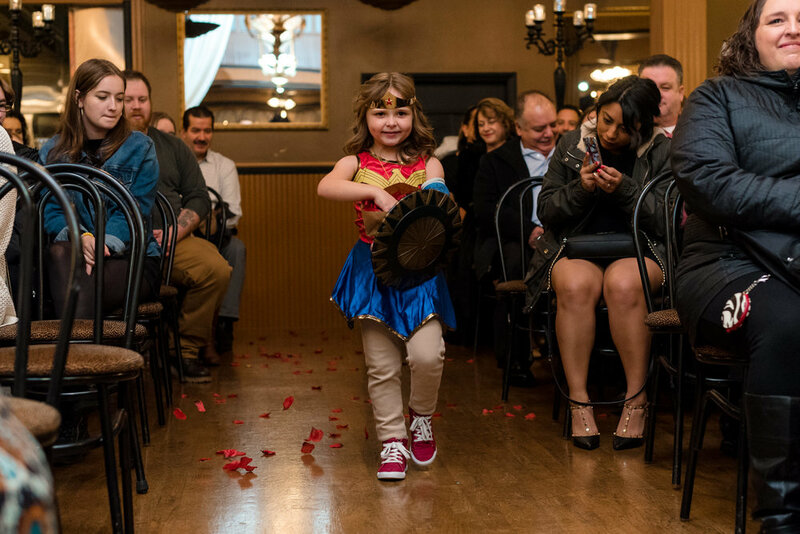 They also showed their nephew some love in his Spiderman costume. Sergio and Kayli wandered around the University of Washington campus. 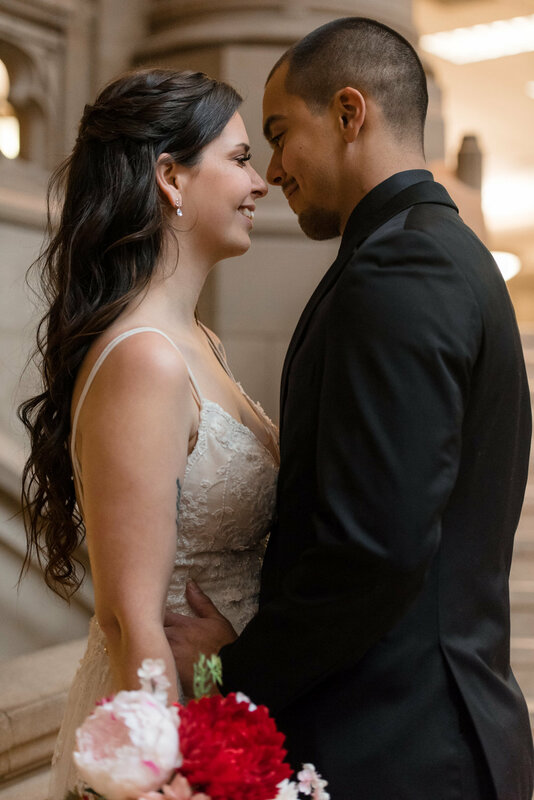 They shared a romantic moment together in Suzzallo Library. 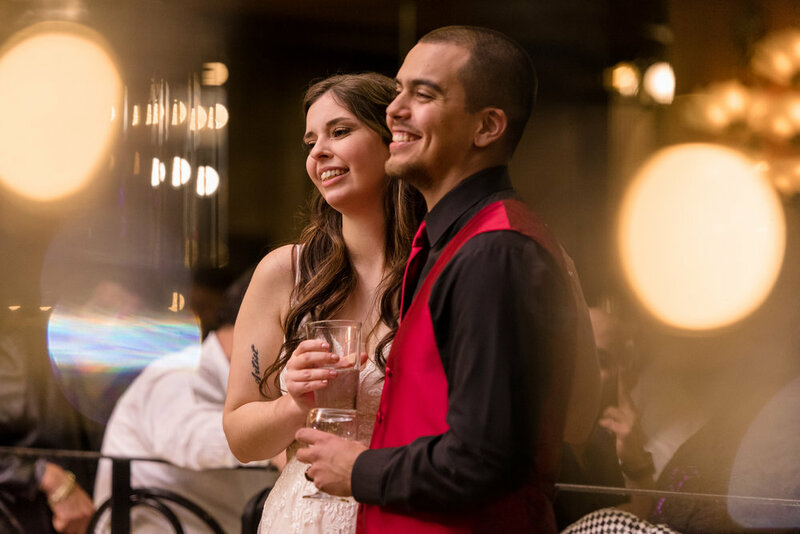 After wrapping up photos, Kayli and Sergio headed over to Lake Union Cafe for their ceremony. 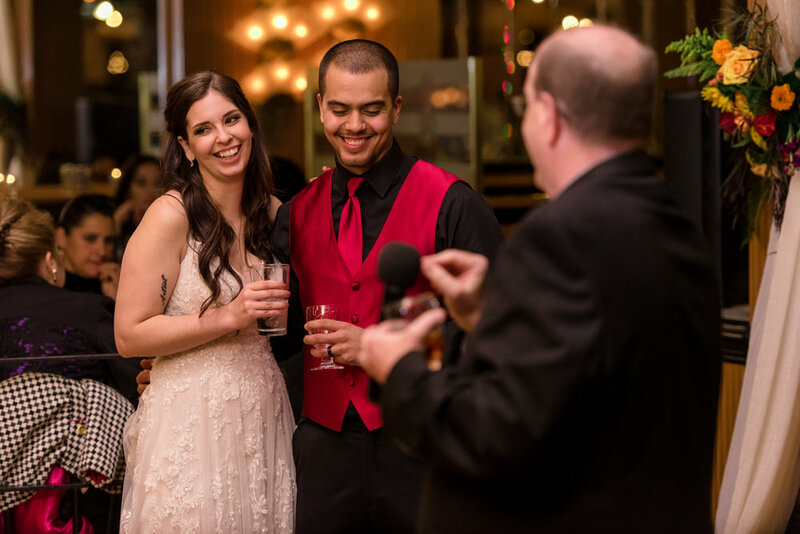 Kayli and Sergio got married! 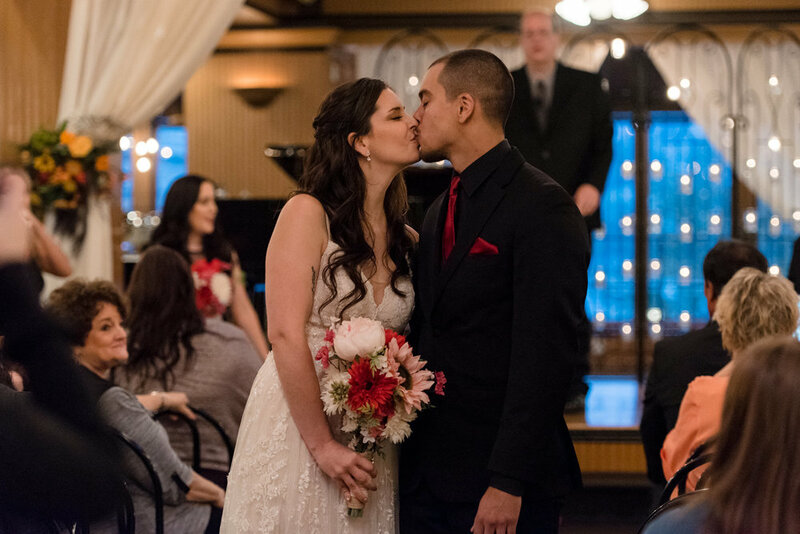 While Lake Union Cafe transitioned for dinner, Kayli, Sergio, and their wedding party and families made official Kayli and Sergio's marriage. 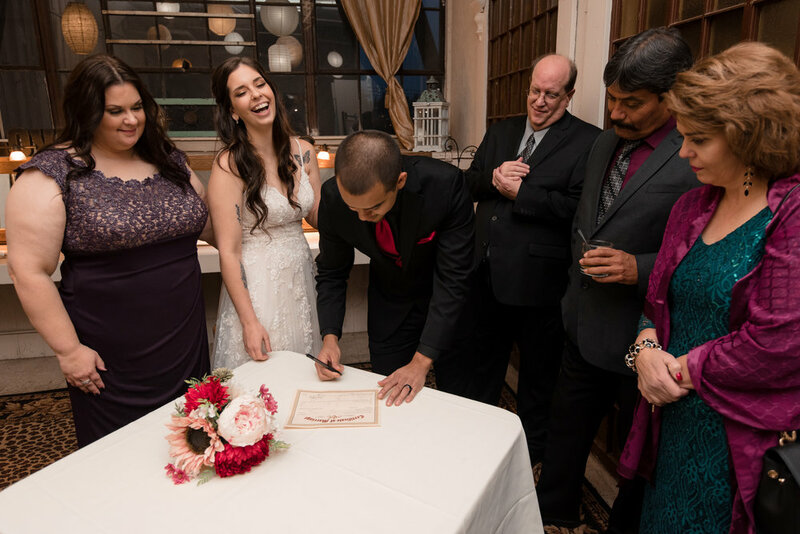 They had some fun signing their marriage certificate. 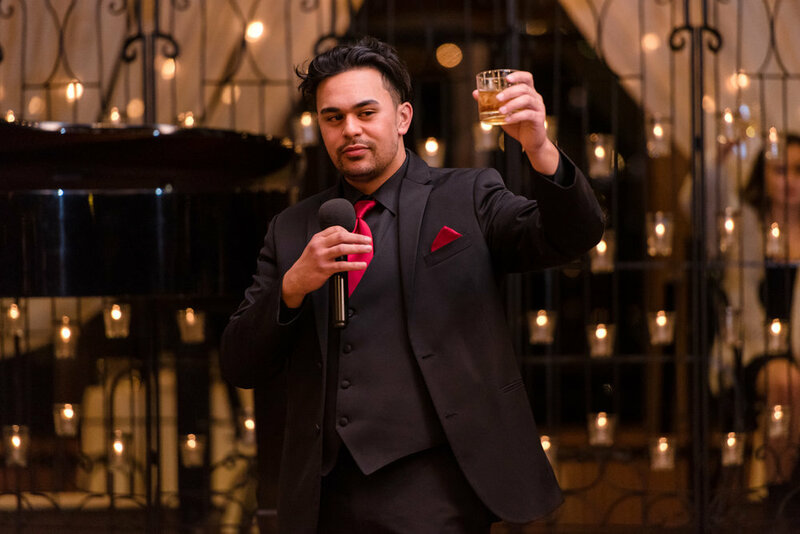 After dinner, it was wedding toast time. Every toaster had some funny and heartwarming things to say. 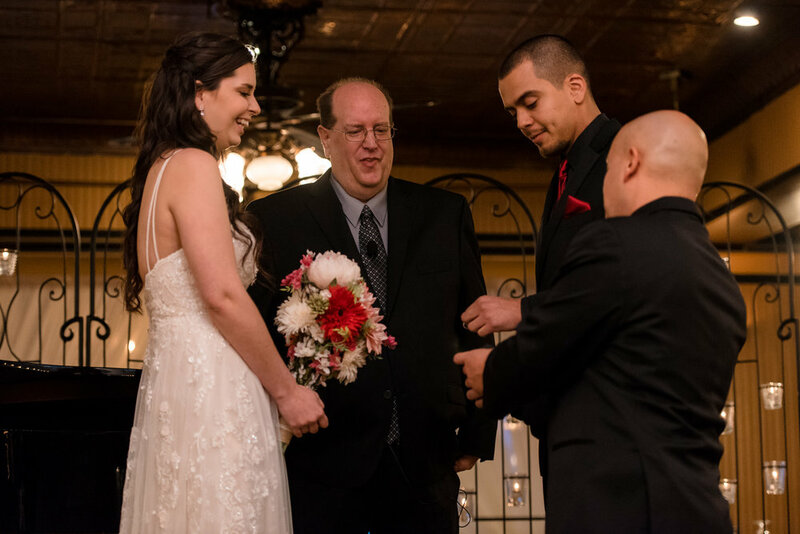 Kayli and Sergio gave thanks to all of their wedding guests. Sergio also gave an emotional thanks to his family members in Spanish. 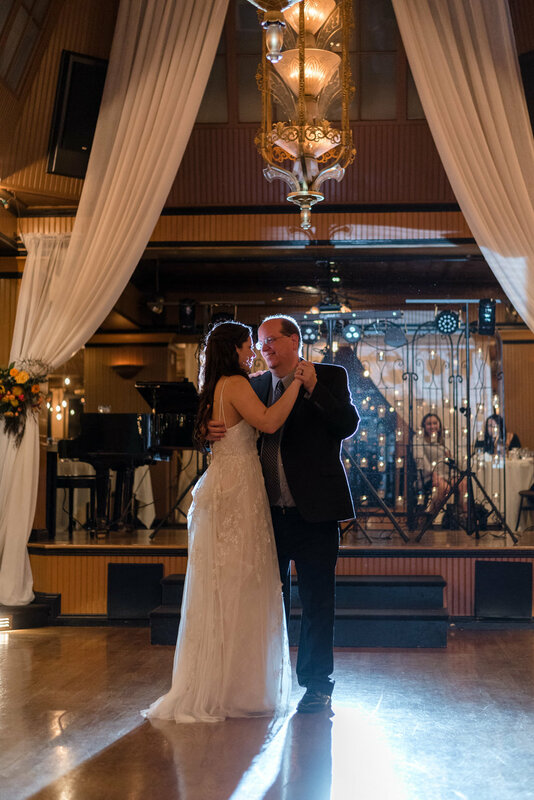 After toasts were made, it was time for Kayli and Sergio's first dance, Kayli and her father's dance, and Sergio and his mother's dance. 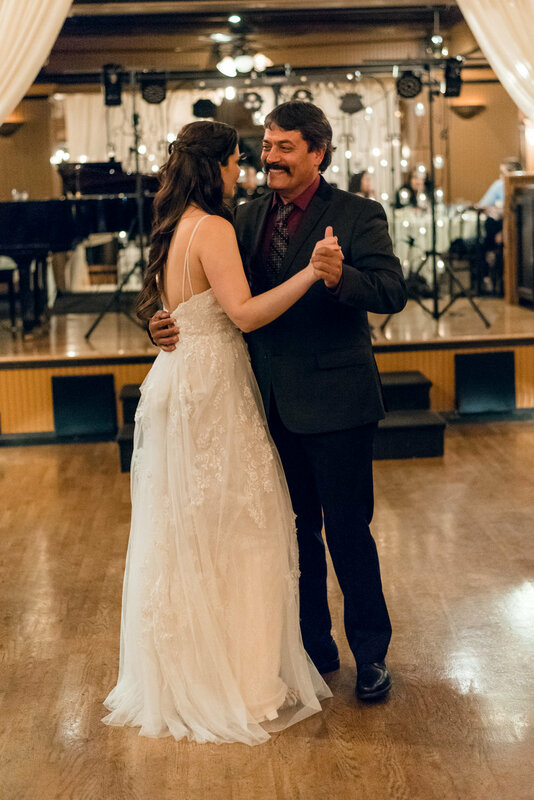 Sergio's father also surprised them and asked for first dance with Kayli. 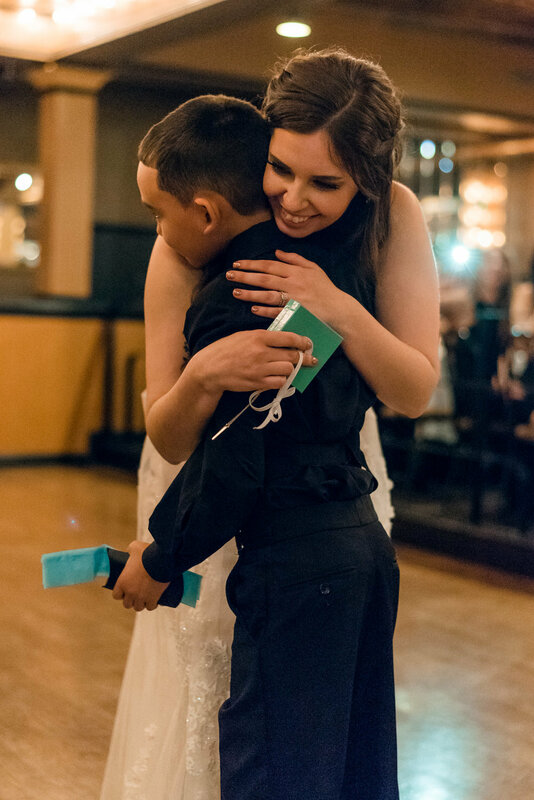 Sergio's son held the ultimate surprise, dancing with both and bringing a gift for Kayli. 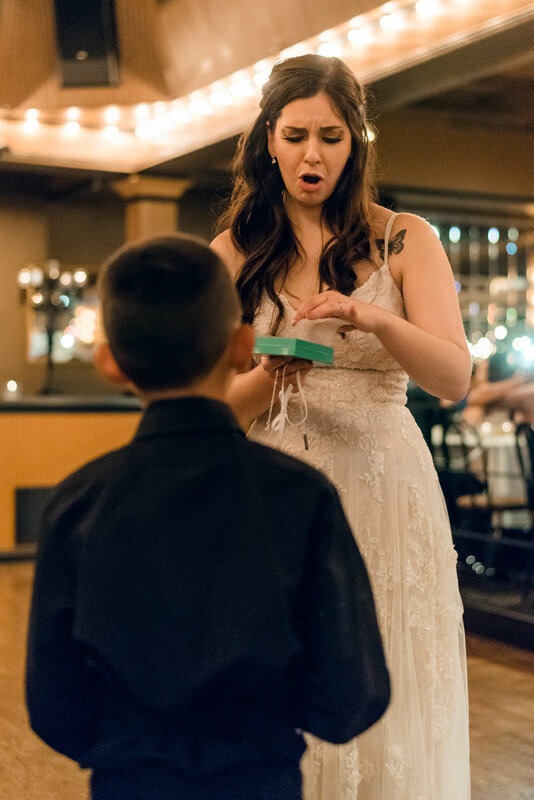 Kayli had some fun during her bouquet toss and faked the single ladies out. 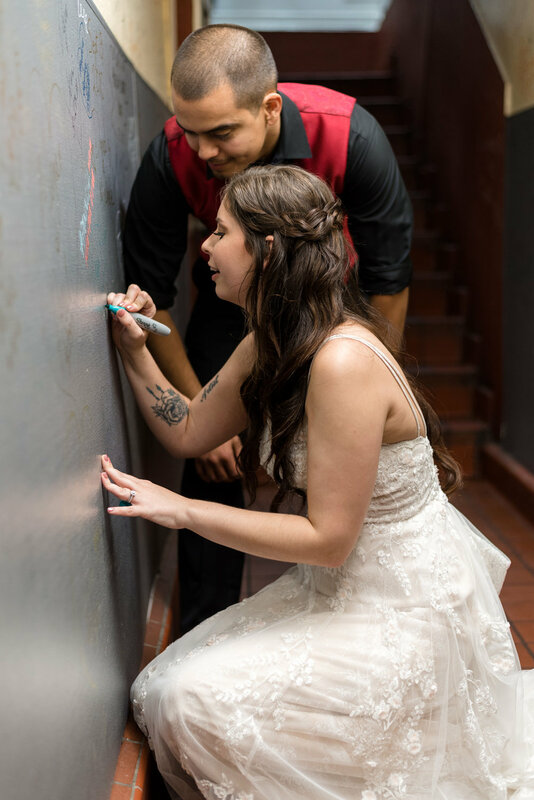 Kayli and Sergio found their spot on Lake Union Cafe's just married wall. 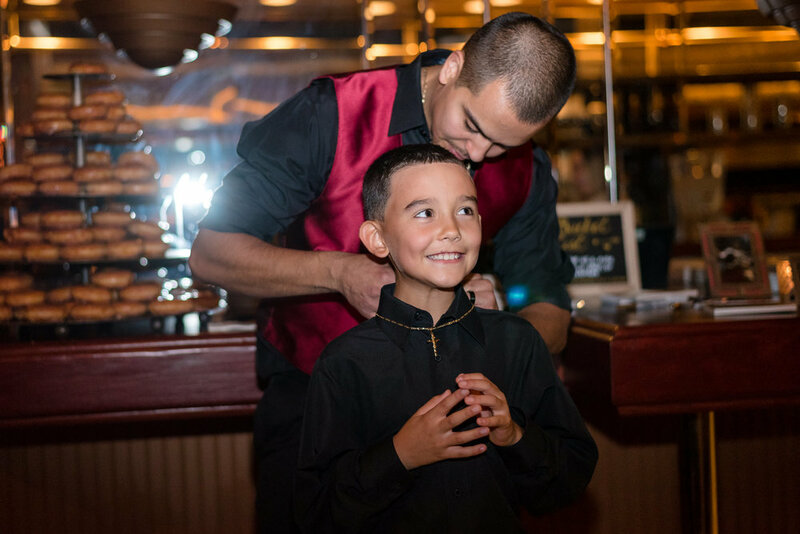 Sergio had a special gift for his son: a crucifix of his own. 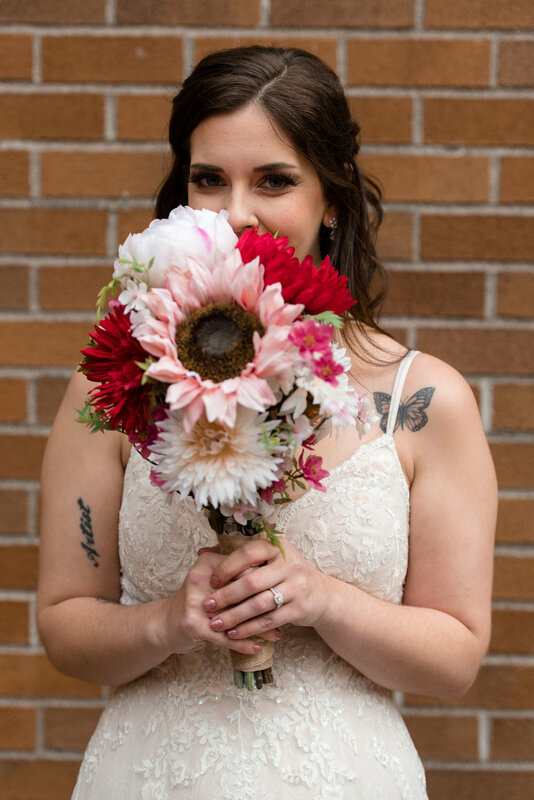 After a few happy photobooth photos, Kayli and Sergio were married!